There’s nothing like surfing in cold water. Those surfers with the inclination to seek it out are often rewarded with empty lineups and a feeling that you can’t quite replicate in the comfort of warm, tropical waters. Imagine being in the sea with only one other surfer on a winter’s day, encased head to toe in thick neoprene. Now you’re sliding down the frigid face of a wave, the sound of it breaking muffled by your wetsuit hood, a sharp wind in your face as you trim across a chilly wall. There’s no one watching, but it doesn’t matter. The extra effort to overcome the elements makes the reward worth that much more. It’s not for everyone, but the same motivation that has always driven surfers to leave their home breaks and look for new waves is what makes some surfers gravitate towards the raw beauty and isolation of cold places. 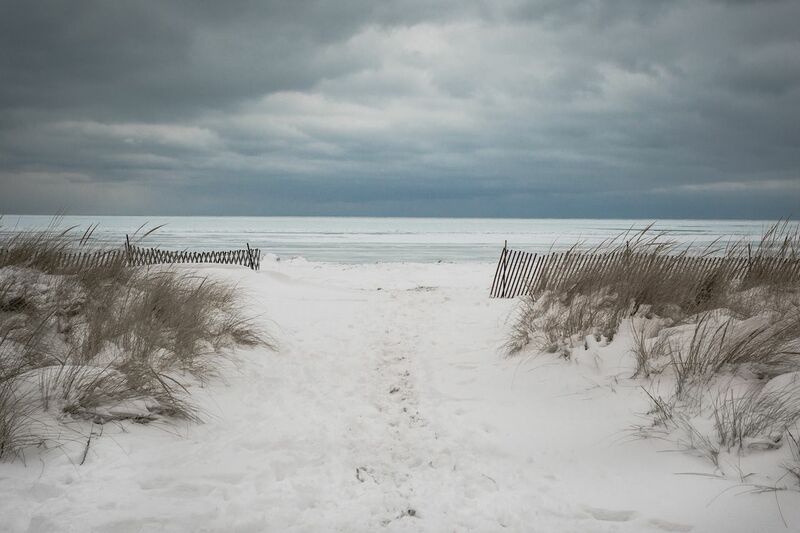 If that sounds good to you, here are a few places to start your cold water surfing adventure. At the very north of Britain, Thurso is home to Scotland’s most well-known wave, Thurso East. It’s a right-hand barreling wave that breaks over a kelp-covered rock reef. A farm overlooks the break, but the farmer doesn’t seem to mind surfers using the edge of his yard as a car park, vans quickly filling up all the available space on a good day. Thurso Castle towers behind you and the peat-stained River Thurso brings dark and cold water into the lineup as you wait your turn. 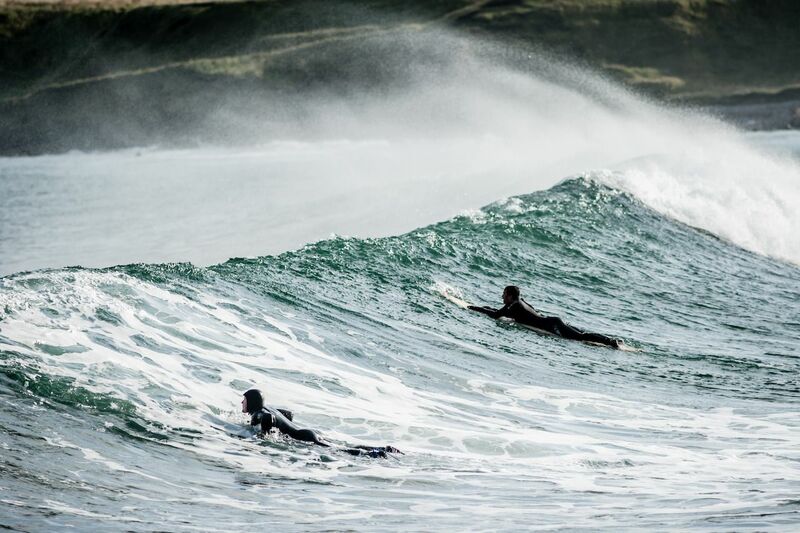 The coastline around Thurso is littered with other options for all levels of surfer — or if the “crowd” at Thurso East gets too much. Solitude is not too hard to find, but when you meet another surfer, the lack of crowds means you’ll likely find them to be friendly. There’s also a short ferry from the nearby village of John o’ Groats to the Orkney Islands, where more waves are waiting to be found. 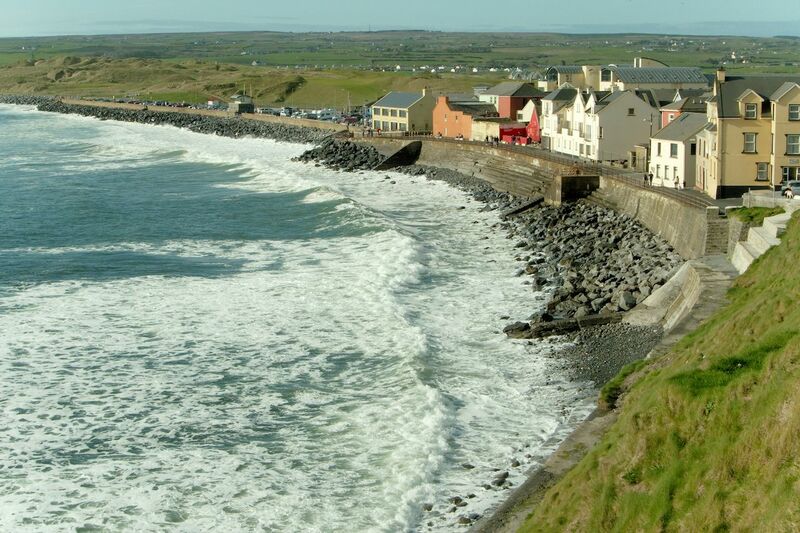 Lahinch is a small surf town in Ireland’s County Clare. Facing west into the Atlantic Ocean, it’s first in line to receive the full force of the winter swells. Ireland has a thriving surf scene with a dedicated crew of local surfers, and you’re likely to see a great display of surfing when the waves are good. Lahinch itself is home to a more mellow beach break, as well as a series of left-hand reef breaks as you move south around the headland. Ten minutes away you’ll find the famous Cliffs of Moher. There, the land drops away to the Atlantic blue, and you can reflect on the waves you’ve surfed as you look out across the sea. For the brave, and skilled, there are some seriously heavy waves hidden nearby. To warm up after those long winter sessions, you won’t be disappointed by the local seafood chowder and Irish hospitality. The Lofoten Islands are located just off the rugged coast of northern Norway inside the Arctic Circle. It doesn’t get much colder! 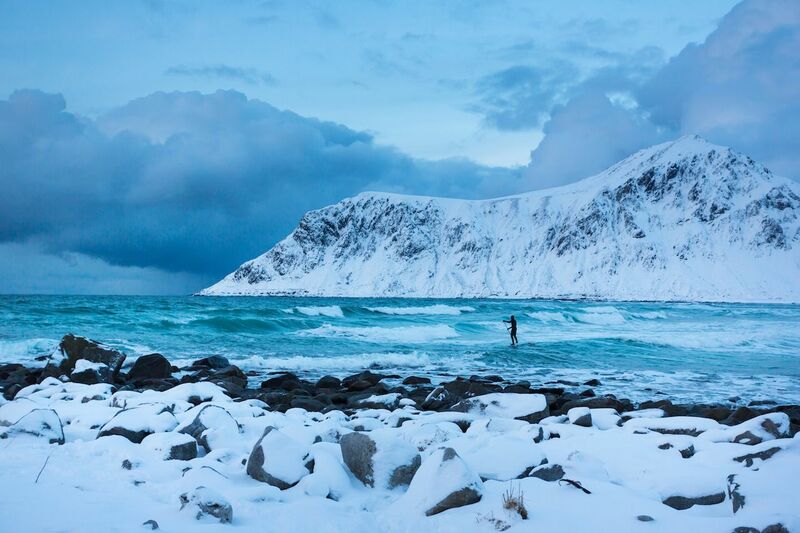 As wetsuit technology has improved, surfing in places like Lofoten has become possible. The surf scene is centered around the bay at Unstad, which is a mellow beach break bordered by snowy mountainous cliffs, with left- and right-hand point breaks on either side. There’s something for everyone, including the local orcas. In winter, the days are short and finding the right combination of swell, wind, tide, and daylight becomes a major challenge, but when everything falls into place, it’s more than worth it. In summer it’s possible to surf all night thanks to the midnight sun — and it’s still cold. Hawaii, eat your heart out. 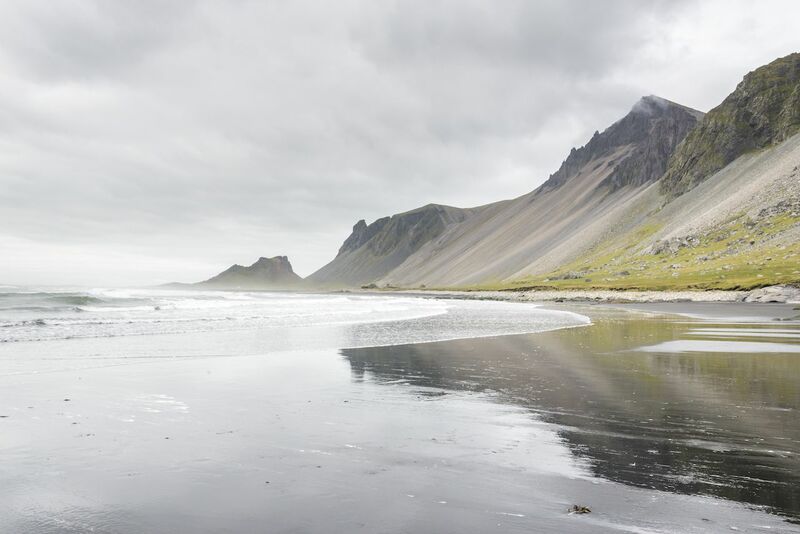 As the country’s name suggests, Iceland is the perfect example of cold-water surfing as a challenge. By all accounts, it doesn’t come easy there. The winters are harsh, the days are short, and the coastline is not well-documented in terms of waves. You’ll have to work hard to score the perfect conditions, but the potential is huge for swells from all directions lighting up world-class setups found in untouched landscapes. Places like Iceland are the new frontier in the surfing world, and it’s definitely possible to pioneer quality waves — waves that have never been surfed before. If you’re lucky, you might even get to name one. First, though, you’ll need some very warm equipment, a four-wheel drive, and a generous dose of luck to find them. Reykjavík is the hub of Iceland’s population, and its surf scene and is the place from which to start your search. For something a little different, the Great Lakes between the US and Canada have long stretches of coastline, and where there is coastline there are probably waves. The sheer size of the lakes means that decent waves are possible with the right wind. Surfers are scattered around the lakes, particularly in the major cities that border them like Chicago and Toronto. The swell and wind are short-lived and difficult to predict, so expect to be religiously checking the forecast and driving around to find waves. There’s no guarantee that you will find them, but if you do, you’ll be surfing inland in literally freezing fresh water. And what a feeling that will be. Tofino in Canada’s surfing capital. Tofino, on Vancouver Island in southwest Canada, has developed from a small fishing and logging town to a surf tourism destination for the hardy devotees who don’t mind the cold. 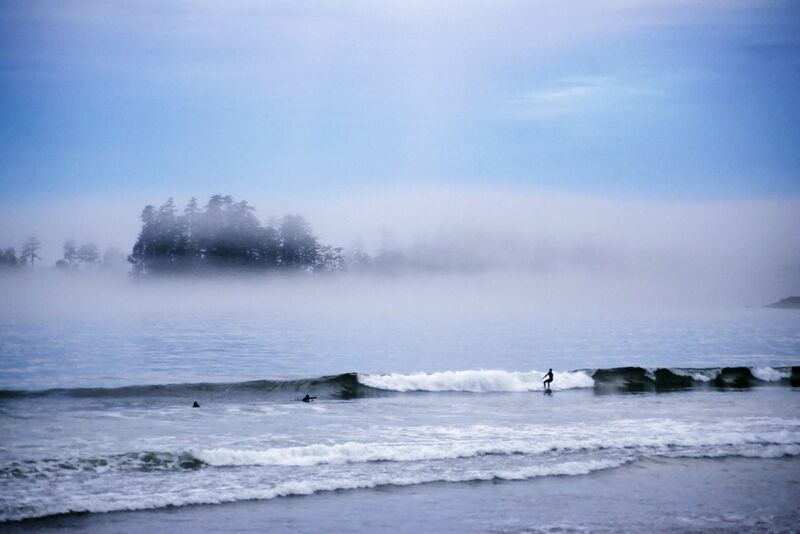 Tofino has several reliable and easy-to-access beach breaks, and its position facing out into the Pacific means exposure to swell is not a problem. However, roads are limited, and accessing the many other surf spots around the island can be difficult. A boat or seaplane could be useful, but local knowledge would be essential to make it worthwhile. Vancouver Island undoubtedly has many quality waves that will remain undiscovered — or are at least kept secret by the few who have taken the time to explore. It’s up to you to find them for yourself, or you can just enjoy the waves at the more accessible beaches, still unspoiled and wild, backed by green forest and opening out to deep blue.